If location is the first 3 rules of real estate, then communication should be the first laws of moving. I did my very best to keep open lines of communication with the moving company. Even speaking with the owners to ensure that the movers showed up fully prepared with tools, Dolly’s, and enough personnel. Moving is a team effort. So when the movers forgot things at my house I returned them to them later. 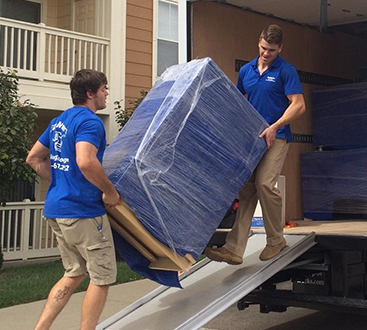 The movers initially showed up promptly, ready to move & were very professional. I tried to be accurate with all the things we needed moving so the 26 ft truck wouldn’t be overflowed. They did a really good job packing, shrink wrapping & moving my furniture onto the truck. I like that they don’t use 18 wheelers because it was much easier to access my house & move it to another state quicker. Due to weather they weren’t able to get the truck to my new place within 3 days but 4. Which I’d rather they be safe than have an accident. Somehow though my furniture got soaking wet. I don’t know if there was a leak in the truck or not. Thank God my sofa & dinning room set dried out because it didn’t seem like they are too eager to reimburse for damaging any of my stuff. The other thing that could’ve been better was they left some of my wood furniture in the garage in Texas where the heat can damage it. I had to find help to remove it. If they work on those couple of things I think they could obtain 5 stars. 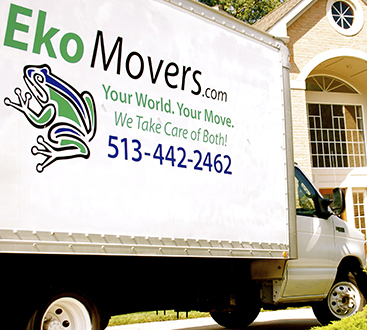 Thanks Ekomovers for moving my home safely.